Mladá Boleslav, 8 February 2019 – Michal Hrabánek serves as Director of ŠKODA Motorsport at ŠKODA AUTO a.s. since 2007. In this interview, Hrabánek talks about the participation of ŠKODA Motorsport in the WRC 2-Pro, the customer program in 2019 and the updated ŠKODA FABIA R5. Mr. Hrabánek, currently the ŠKODA FABIA R5 is the most successful rally car in its category. What is the reason for that? Michal Hrabánek: ŠKODA Motorsport is continuously working to improve the competitiveness of the ŠKODA FABIA R5. In the past, the work on our R5 rally car focussed on reliability. As a result, during the 2018 WRC season no factory car had to retire due to technical issues. Thanks to the presence of our works team in the FIA World Rally Championship, we got the experience to continuously develop the car, making the FABIA the best car in its category. 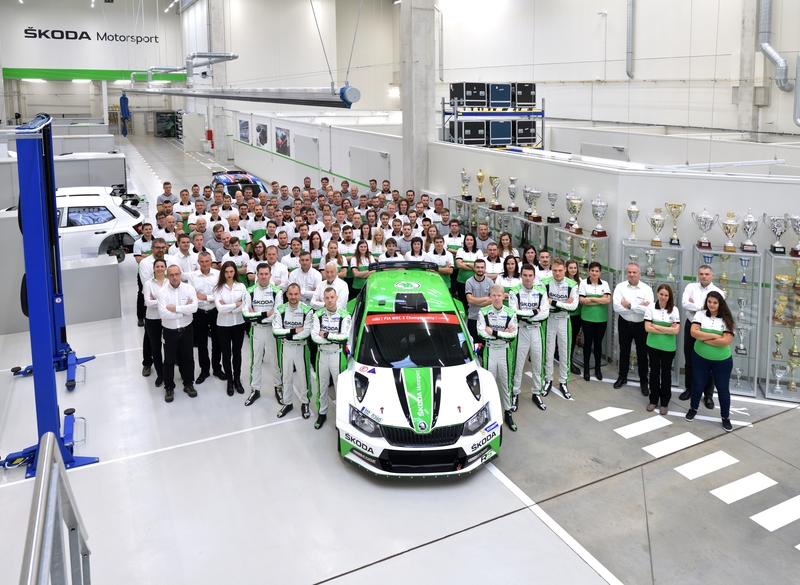 The strong and close cooperation between the R&D department of ŠKODA AUTO and ŠKODA Motorsport and the fact, that we are working with the same strict processes of quality management and control, is an important key to success. Why is ŠKODA competing with a factory team in the WRC 2 Pro category? Michal Hrabánek: Due to the involvement of our works team in the FIA World Rally Championship, we are closer to our customers, get their feedback directly and can collect the experience to further develop the car, making the FABIA the best car in its category. 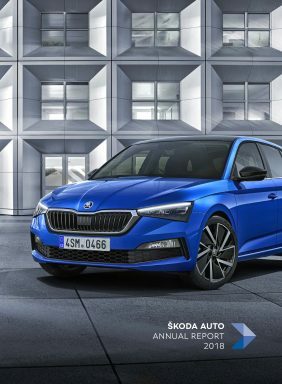 What is the program of ŠKODA Motorsport for 2019? 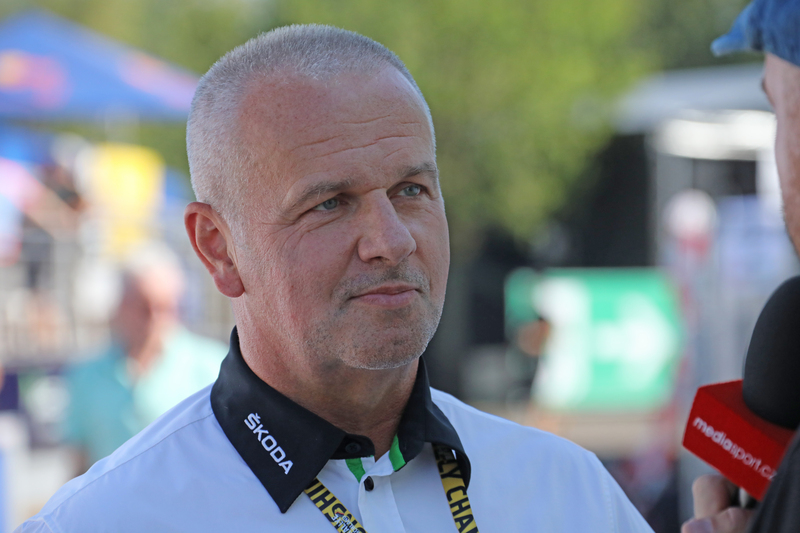 Michal Hrabánek: ŠKODA Motorsport modified its strategy for 2019. We sold 252 cars up to the end of 2018 to our customers, we have a big responsibility to provide the best possible service. Therefore, our customer program will have top priority in 2019. Furthermore, we will enter two cars into selected rounds of the FIA World Rally Championship. Kalle Rovanperä and co-driver Jonne Halttunen finished their first year as part of our factory team with third overall in the WRC 2 Championship. In 2019, they will compete in the WRC 2 Pro Championship. We will also see the reigning WRC 2 Champions Jan Kopecký/Pavel Dresler on selected WRC events. As well they will try again to defend their title of Czech Rally Champions. For the upcoming Rally Sweden, you nominated reigning Finnish Champion Eerik Pietarinen for ŠKODA Motorsport as point scorer in the WRC 2 Pro category. Will we see more private drivers competing under the banner of the factory team in 2019? Michal Hrabánek: Eerik Pietarinen is supported by the Finnish ŠKODA importer. Already by winning the WRC 2 category at Rally Finland 2018 he proved his outstanding speed and talent. We closely observe the progress of other talented and fast ŠKODA customers and may integrate some of them into our works team on selected WRC rallies. This is a good example for our new strategy to support our customer teams even more. How do you see the future of the WRC 2 Championship and the new Pro category? Michal Hrabánek: The WRC 2 Championship is and will remain a very attractive motorsport platform, what we also can see in the impressive media feedback worldwide. The competition level is high, apart from ŠKODA other manufacturers like Ford, Citroen, Peugeot and Hyundai are selling R5 rally cars. Also, during the penultimate round of the FIA World Championship 2018, Volkswagen debuted the new Polo R5. There are also rumours, that Toyota is planning to join the competition as well. The new WRC 2 Pro category for works teams and works drivers started at Rally Monte-Carlo. At Rally Sweden we will see ŠKODA, Ford and Citroen competing for championship points. We support all ideas and plans, which bring rallying forward. The new series may need some time for further development. When can customers order the new ŠKODA FABIA R5, when will we see the new generation car for the first time in competition? Michal Hrabánek: The final timing is not yet fixed. The most important aspect for us to be 100 per cent sure, that the car is fully developed and bullet proof ready for competition without any compromises, this is our responsibility. Thoroughness in a development of a new car has absolute priority. Due to the homologation planned for the middle of 2019, we could introduce the car after the second quarter, so that ordering process and first deliveries could start. We have already a list of customers interested in buying our new generation R5 car. Clients can register for the new specification FABIA R5. However, this registration is no obligation to buy the car in the end. As soon as we have more information about final technical specifications and delivery date of the car, we will inform our customers. Michal Hrabánek serves as the Director of ŠKODA Motorsport during the last twelve years. Beforehand, he worked in a leading role in the technical development of ŠKODA AUTO and for Sales and Marketing as well. He was responsible for the development of the successful ŠKODA FABIA S2000 and its successor, ŠKODA FABIA R5, which is currently the most successful rally car of its category. From 2015 up to 2018, ŠKODA Motorsport won under the lead of Michal Hrabánek four times in a row the Team Championship in the WRC 2 category of the FIA World Rally Championship.